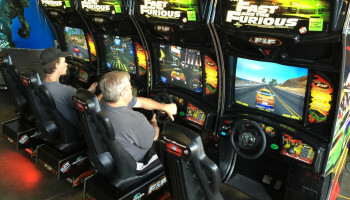 This is a 4 Player Sit Down Driving Arcade Game that can be linked up to all the machines for the ultimate experience. Challenge your coworkers, friends, schoolmates and see who will be the fastest in your group. This is a great item for a tournament or event to offer prizes and gifts to the fastest driver. You have the option of renting 1-4 games. We can link these to have all 4 players in a race or split them up to have head to head matches. 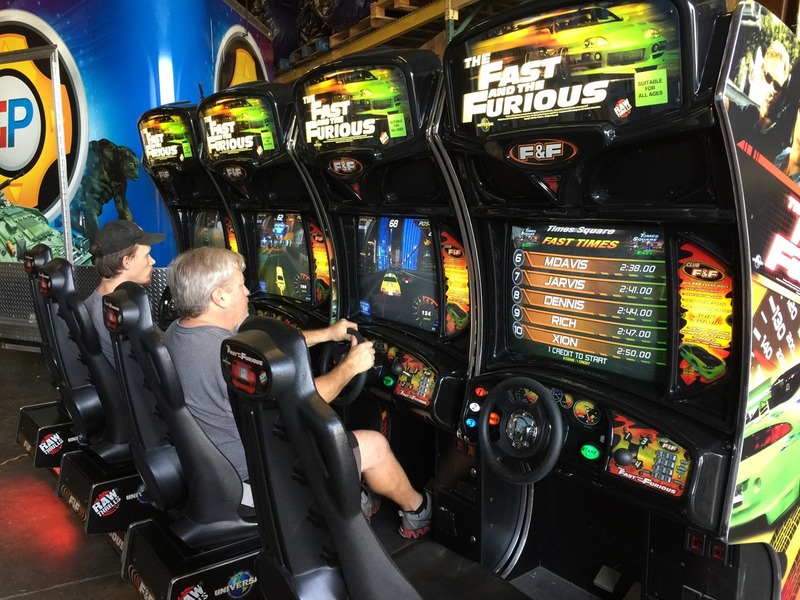 We put these driving games on free play so no money is required. 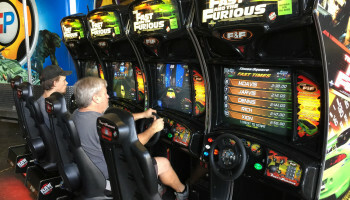 These are special edition Paul Walker Fast and Furious Games. Price: Call us for a 1-4 game package deal or Ask Us About Our Multi Day Rate 831-757-4781 or 1-888-630-3866. 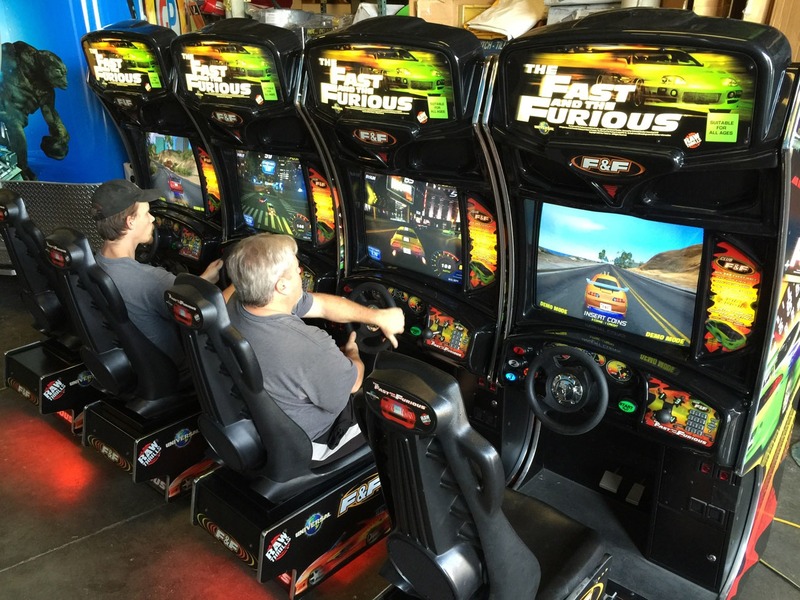 This Racing Simulator Will Be A Huge Attraction At Any Arcade/ Video Game Event Or Party. 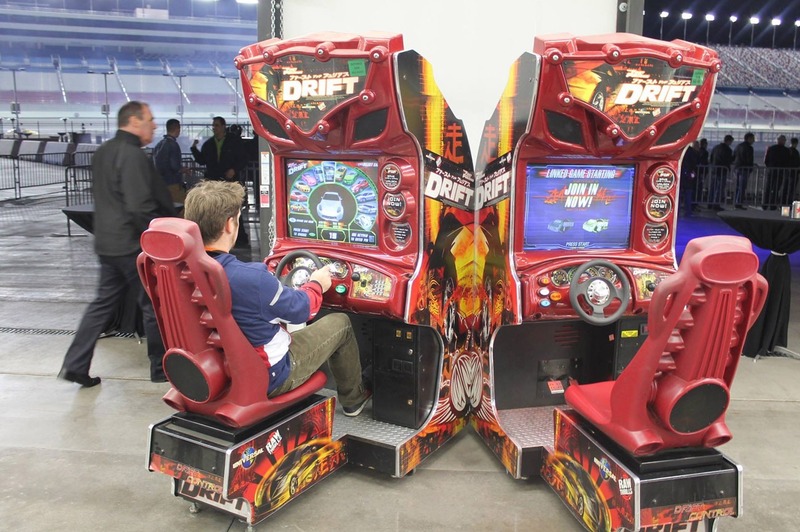 An Awesome Arcade Game For Any Trade Show Convention Center Or School Grad Night Event. 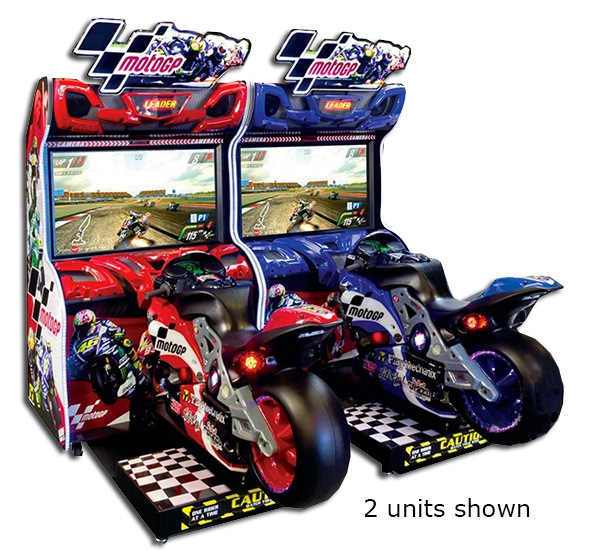 These eye catching Motorcycle Motogp Arcade Game Rental can be rented from us as a single or we can pair them up so you can take on a friend or co-worker. This is the crazy maze driving game that puts a new twist on your skills and patience! 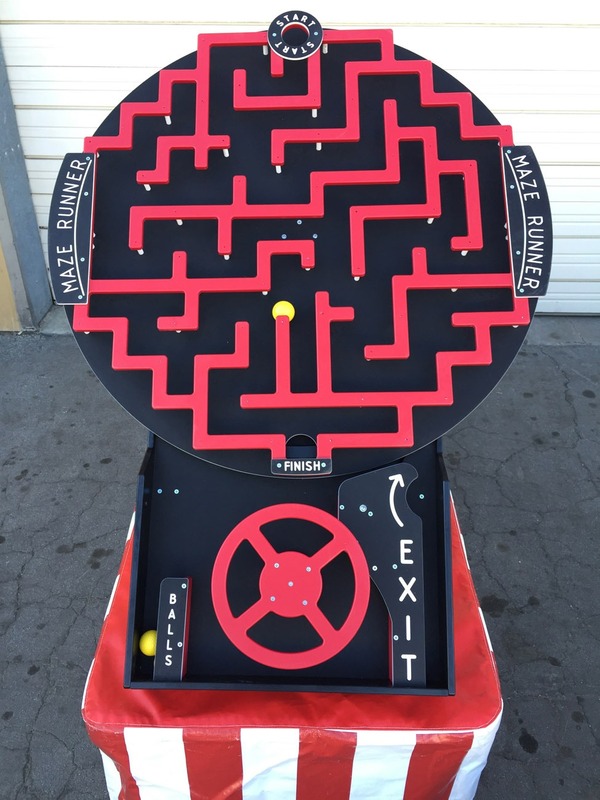 The object of the game is to guide your yellow ball thrugh this awesome maze by spinning the maze with your steering wheel located at the bottom of the game.